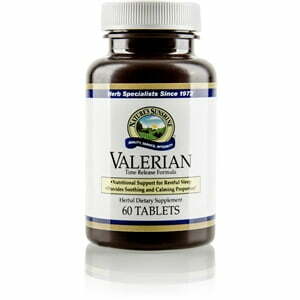 Nature’s Sunshine’s formula for time release valerian root provides the body with a steady supply of the finest valerian root extract, standardized to 0.8 percent valerenic acid. 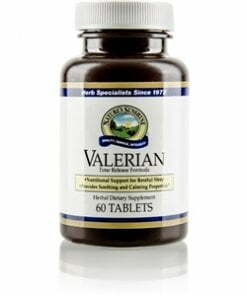 Used historically as a sleep aid, valerian root nourishes the central nervous system, relaxing the body and promoting a sense of calm while ridding the body of anxiety and stress. In addition to providing a good night’s sleep, it also does not result in morning grogginess. Each capsule is 500 mg. Instructions: Take one or two tablets one hour before bedtime for continual, time-release benefits during the night. Cellulose (plant fiber), di-calcium phosphate, stearic acid (vegetable), and magnesium stearate (vegetable).